2011 year Ueno Farm open information! Long winter finishes finally, warm spring sunlight gives plants energy of life. On the back lining of Ueno Farm you can see a group of flowers and spring flowers that can only be seen at this time. 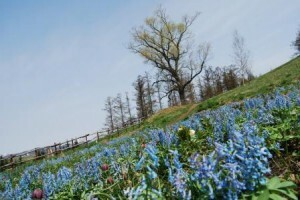 Please come and visit the spring flowers that are rich in vitality. I get lots of energy! ☆ Opening first day First-come, first-served 200 people Fun seedling present! Once you purchase at Ueno Farm one opportunity to 2000 yen! Ueno farm goods etc. are gotten by lottery! "Press Flower Exhibition in Herb Fields in Ueno Farm Vol.2"
It is a pressed flower exhibition that was very popular last year. You can discover different charms of plants. Make only one pressed flower soap in the world! Also a gift for Mother's Day. 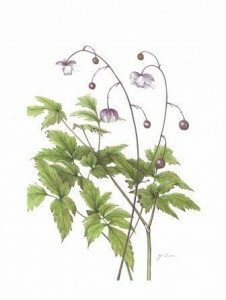 Yasuko Suda Solo Exhibition "Following a Dream · Spring"
It is a work exhibition of delicate and beautiful Botanical Art. It is drawn into the plant world. Every year in the Ueno Farm a very popular photo contest, we will display the memories photographed this year at the gallery in autumn. Please apply. For details, please contact the staff. For meals only one drink can be used as a free service ticket any number of times! ● When you come to Asahikawa Ueno Farm! Let's eat Hokkaido Garden Highway lunch! We will start from April 29! 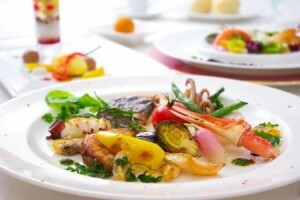 Please enjoy "Hokkaido Garden Highway Lunch" where each hotel's chef spends his arms! To everyone who was affected by the Tohoku Great Kanto Earthquake, we wish to express our heartfelt condolences to all the families and relatives in the disaster area. We also set up donation boxes at windows in Garden Road facilities, Ueno Farm, everyone's cooperation, please.